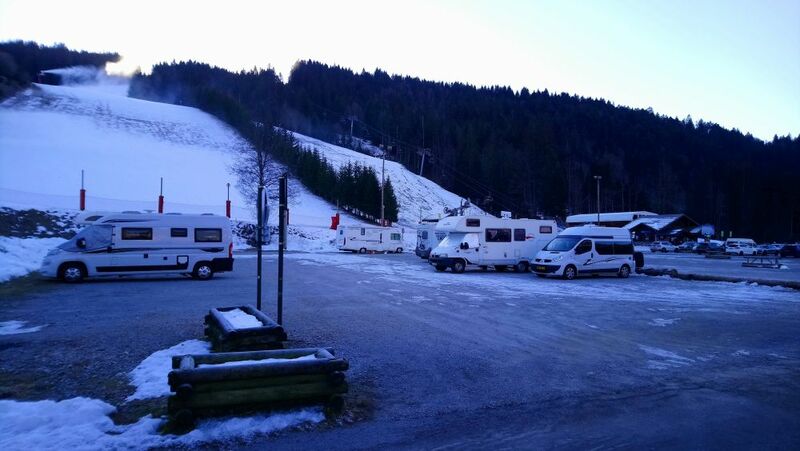 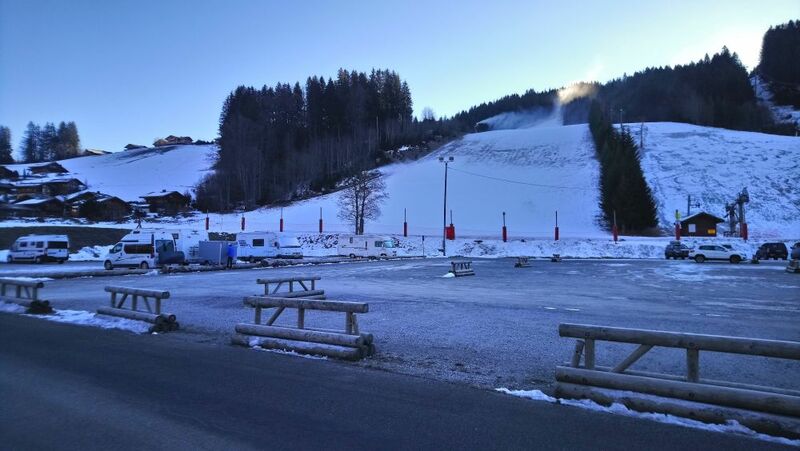 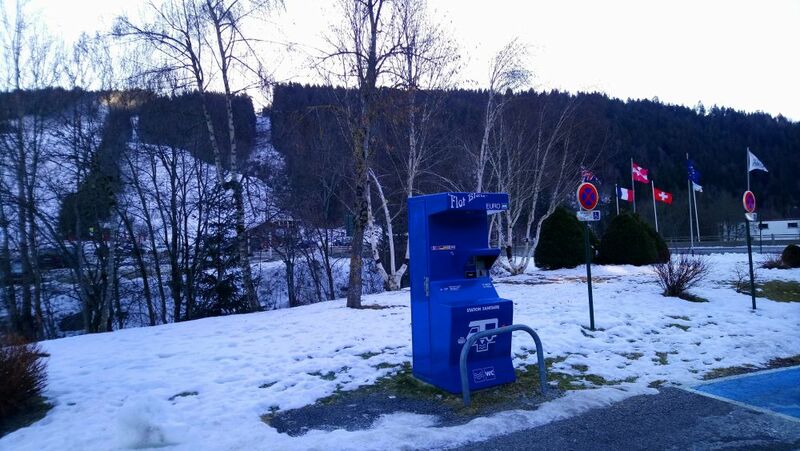 There is motorhome parking right at the bottom of the ‘des Perrieres’ chairlift in Les Gets, with a Flot Bleu for taking on fresh water and dumping grey/black water situated at the main entrance to the car park. 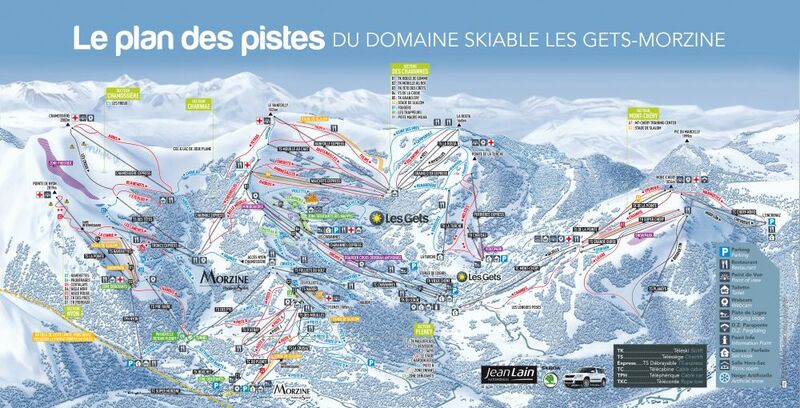 Public toilets and a lift pass office are located at the chairlift. 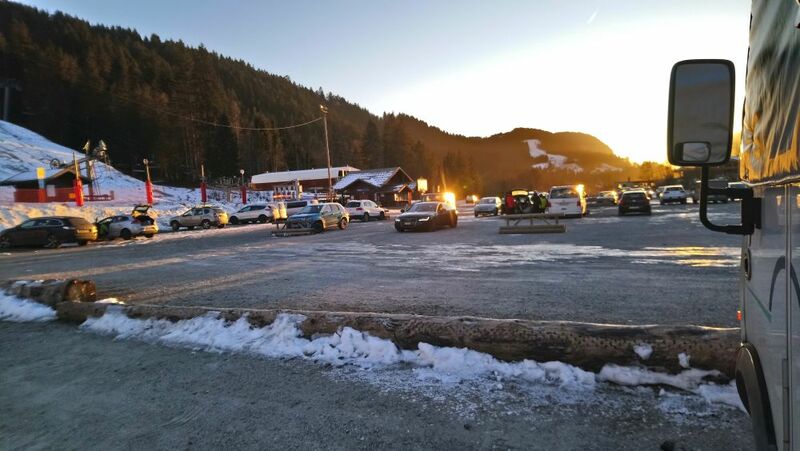 The parking is on the edge of the town, so it’s about a 20min walk up to the town centre for supplies, but if you don’t feel like walking there are a number of free buses that regularly run loops through the resort and stop just at the entrance to the car park.